1) We use powerful and safe pretreatment to loosen the soil, dust, allergens, and odors from the carpet so that it can be easily removed. 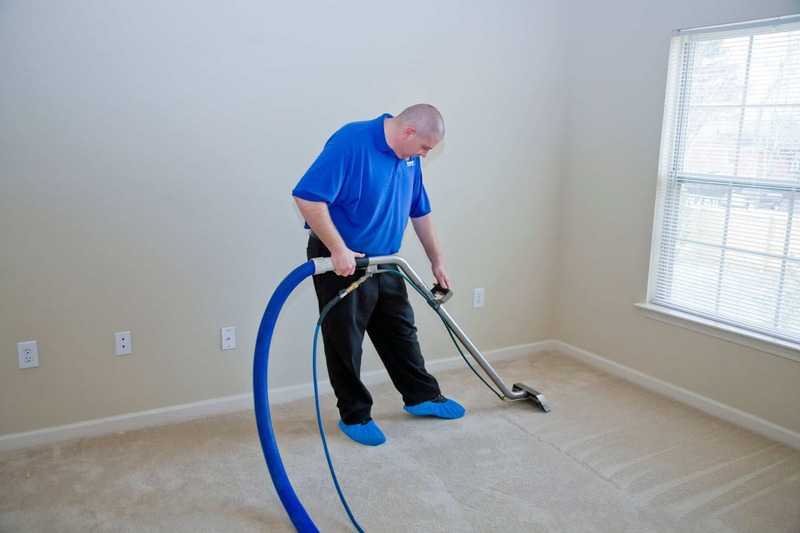 2) Our powerful truck mounted carpet cleaning system heats up fresh water and pumps it through a high powered hose to the cleaning wand where it is released deep into your carpet. 3) The water and steam draw the soil and pretreatment to the surface of the carpet it is quickly suctioned up into the cleaning wand. 4) The water is then deposited into a waste tank in the truck leaving your home free of dust, allergens, and odors.